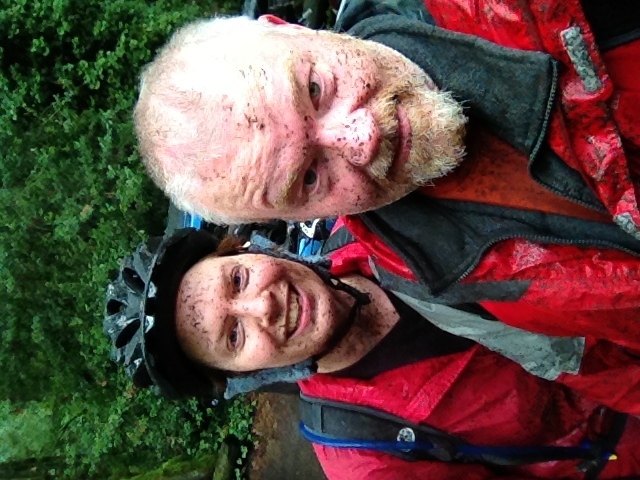 Yesterday, Michelle and I went mountain biking up in Forest Park. I’d never been before and didn’t quite know what to expect, but I got the bikes ready and away we went. We started at the Thurman Gate and rode Leif Erikson as far back as the junction with Saltzman Road (about six miles) before turning back. I found that I could only ride so hard, because if I pushed hard enough that I had to breathe through my mouth, I started eating a fair bit of grit. I was wearing glasses, but still managed to get dirt thrown in my eyes fairly often. But still we had big fun. I felt strong and rode reasonably hard. 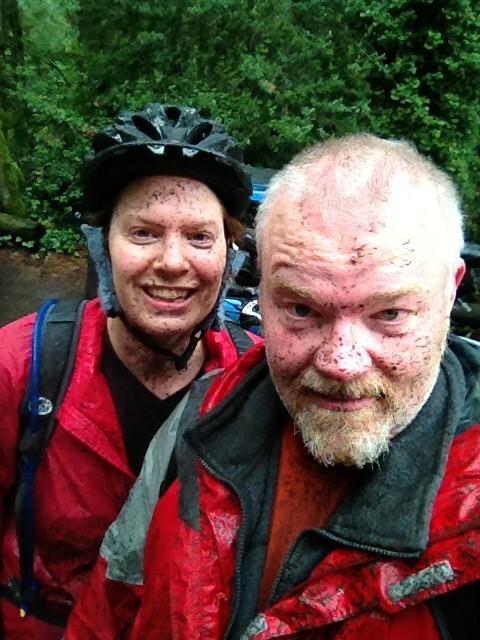 Despite the muddy conditions, I didn’t spin out or slide. And bombing back down the slope on the return to the parking lot was a thrill ride. There’s a brief span where the road is paved, and when I hit that at speed, that’s probably as close to flying as I’ll ever feel. The fierce vibration of the gravel road vanished and I floated along with no friction, head first down the trail. It was grand. Once home I hosed down the bikes, then hosed down myself, then showered, then soaked in the tub, then showered again. And I still had little traces of mud on me. Clothes have been washed twice and definitely need another trip through the machine. Oh yeah, and I need to shop for clip-on fenders.